Usually everyone wants to blame the other driver for causing an accident, but sometimes it is the fault of the driver of the car you are in. In these instances, you are able to file a claim with the driver’s insurance. Of course every insurance policy is different, but most policies include liability coverage. The other drivers insurance may cover medical bills, lost income, pain and suffering, and other damages up to the limits of the policy. However, there are sometimes different rules and regulations if you are related to the driver of the vehicle. Filing a claim against the insurance of the driver of the car you are in is not the same as filing a lawsuit. The claim is strictly being filed against the driver’s insurance, not the individual person. Filing a claim against insurance is not suing your friend, family member, or acquaintance. The insurance policy exists to compensate those injured in an accident. If the other vehicle involved in the crash is to blame, you may be able to file a claim against their insurance. 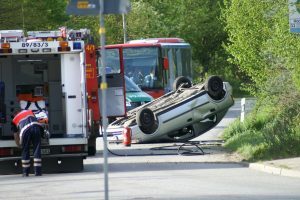 Similar to filing a claim against the driver of your vehicle’s insurance, the insurance policy may pay for certain damages. In addition to filing a claim against the either driver’s insurance policy, you may be able to file an insurance claim against your own policy. There may be provisions in your own insurance policy that offer medical coverage. If your insurance policy includes this, it likely will not include damages for pain and suffering, lost income, or other damages not related to medical costs. However, it can still be worth filing a claim to receive compensation for medical bills. If you have been involved in a car accident as a passenger, you have options available to you. Following a car accident, it is important to seek medical attention and receive the care you need. Keep records of everything regarding your medical bills and treatment, a copy of the police report from the accident, and any other documentation resulting from the accident. Finally, speak to an experienced personal injury attorney. The personal injury attorneys at Arnold & Smith, PLLC are here to help you following an accident. We know that recovering from an accident can be difficult, made even more so when you are an innocent passenger to the accident. Contact us today for a consultation and find out what options are available to you to receive the compensation to which you are entitled. 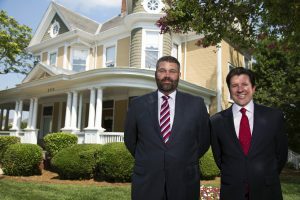 Now taking cases throughout the Charlotte region with offices in Uptown Charlotte, Mooresville and the new location under renovation in Monroe, call us at 704-370-2828 or click here for additional resources.